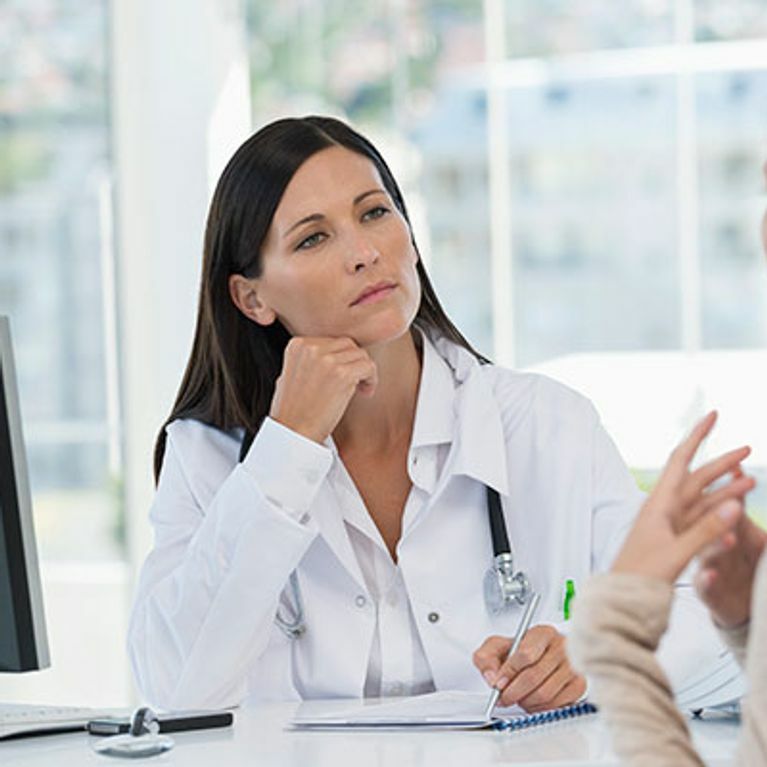 If you're considering surgery, whatever type it may be, there are some essential questions every woman should be ask at their initial consultation. This is your chance to make sure you trust your chosen provider and to expel any doubt about the risks and costs of the operation. Going under the knife is not a decision you should take lightly. It's a life changing experience and you want to know that it's going to be done safely by a trusted professional. Whether you're going in for a first time procedure or going back for your tenth, these are the questions you should ask your consultant before going ahead with cosmetic surgery. We checked in with Nigel Horlock, Consultant Cosmetic & Plastic Surgeon at Spire Healthcare, to find out the top 10 questions you should be asking pre-surgery. Bone fide British trained plastic Surgeons will have the Royal College of Surgeons Plastic and Reconstructive qualifications. FRCS (Plast) will appear after their name. The (Plast) is important and denotes the subspecialty Plastic Surgery examinations. 2. What professional bodies are you a member of? Most Plastic Surgeons are members of The British Association of Plastic, Reconstructive and Aesthetic Surgeons (BAPRAS). This was previously known as BAAPS. They are also members of the British Association of Aesthetic Plastic Surgeons (BAAPS). 3. What experience do you have with this type of procedure? This is a good question to ask and you should expect to hear how many similar cases the surgeon has performed and the number of years that they have been performing the procedure. You should also have a discussion on the options and their pros and cons. With common procedures an experienced surgeon should have performed more than a hundred cases but with rarer procedures it may be only 20 or 30. 4. Can you talk me through the procedure step by step from consultation to post operative care? Having a good understanding of what to expect following surgery is very important and will significantly reduce the possibility of any surprises. You should have a clear understanding of what result you will achieve and the possible risks. You should also clearly understand the alternative treatments. You usually need at least two consultations to gain this knowledge. It is not unusual to have more consultations than this. You will also need to be clear on how much time you will need off work and how much care you will need when at home. You should have regular follow-ups immediately after surgery for dressing checks and then out-patient appointments until about six months after surgery to make sure you are happy with the results. It is likely that a surgeon who can give you clear and concise answers to these points has considerable experience in the relevant procedure. 5. Can I see before and after photographs of the same procedure that you have carried out on former patients? This is useful to help you understand the procedure and the results. However the results depend on the particular anatomy of each patient and so you cannot always expect your result to be the same as another patient whose preoperative anatomy may be completely different to yourself. Photographs of complications may also be a good characteristic of the surgeon because it shows honesty and integrity and will also help you become educated about the potential risks. Don’t forget that photographs are confidential and so the surgeon will only be able to show photos where they have received consent from the patient. 6. Can you be put in touch with former patients who you have operated on before? A significant proportion of patients who come to see me have been sent on recommendation and so patients already know former patients. However if patients request to see former patients we telephone them and ask if they are happy to speak to them. This is more common with the larger procedures when I think it is useful to patients to get the perspective of another patient so they can understand some of the smaller points that may be missed in preoperative consultations. 7. What are the possible risks of the procedure? This should be discussed as a routine in both the initial consultation and then reinforced in the second consultation. Not only is this part of informed consent but it should also cover what will happen if you develop a problem. ​If you are unfortunate enough to develop a problem then you will have a clear understanding of what is needed to solve the problem and make this difficult time easier to cope with. You will also feel more confident with your surgeon if you feel he has seen the problem before and has control and understanding of the situation. 8. What are the alternative non-surgical procedures and what do they involve? Surgical and non-surgical procedures usually perform different functions for different problems. For example crows feet are best treated with botulinum toxins (Botox) and not with surgery and there are no good non-surgical procedures for breast reduction. However a discussion on complementing a surgical procedure with a non-surgical procedure e.g. blepharoplasty (eye surgery) followed by botulinum toxin may be useful so that you can get the best result using both types of treatment. 9. What do I have to do to prepare for the procedure? Cosmetic surgery should be performed when your risk factors for problems are as low as possible. Your risk should be discussed in your pre-operative consultation. For example you may be on medications that need to be stopped. You may need to stop smoking or your weight may need to adjust. All the risk factors should be reduced before the surgeon agrees to operate on you. There is no point having surgery and getting an unnecessary complication that could have been avoided with careful preoperative assessment. 10. What happens if I am not happy with the results? This is an important discussion to have before surgery. It is also important that you are followed up long enough (six months or so) for a problem to become apparent after the swelling has settled down. Rhinoplasty (nose surgery), for example takes around eight months to settle so problems can become apparent later. If there is a technical reason that you are not happy with the result and if the surgeon feels he can correct it, then most surgeons will do this free of charge. The hospital should also not charge a fee. If the surgeon doesn’t feel he can correct the problem then a second opinion may be helpful in offering support and may clarify the situation. It is more difficult if there is no technical problem but you are unhappy with the aesthetic result. This is why the preoperative consultation is so important in setting out what is achievable and to establish a patient’s expectations. Most surgeons’ aim is to deliver a good result and have a happy patient and should support you in achieving that. They will therefore try to deliver the result with minimal cost to the patient. If the surgeon feels that he cannot deliver any improvement they may suggest a second opinion to help clarify the situation. Most of these problems are avoided with good preoperative consultation and planning to set out what can and what can’t be achieved. What Actually Happens During Tummy-Tuck Surgery?